This is a great question which believe it or not is sometimes overlooked by the novice writer. It doesn't matter how good your story concept is, how many special effects your movie will have and who will be in the starring role.. because without good characters your film will surely be a flop. You have to make characters your priority and make them dictate your story. Sure you can guide them towards a certain path in order to match your original story idea, but if the characters don't seem real or three-dimensional and say things that don't make sense for someone of their age, religion or political persuasion, then you can bet that your entire script will suffer. The key to writing good characters is knowing them. That's it. Research them, work out how they think then put them in the situation you have created for them and let them react. Make their dialogue unique, make it sparkle, create complicated yet "realistic" relationships with the other characters in your screenplay that have backstory and substance and I can assure you that your script will be a page-turner. 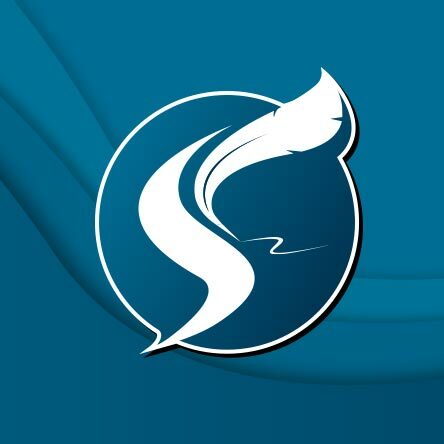 Unlike other screenplay software that just focuses on formatting, Movie Outline also realizes the importance of building great characters and developing their arcs and has three powerful tools to help you. Each of these tools allow you to develop three-dimensional characters that you can track through each stage of your project from your story outline to your finished script. 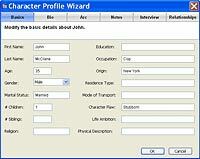 This tool allows you to define the basic profile of each of your characters then lets you ask them a probing series of questions in order to get under their skins. It also enables you to create relationships with other characters in your story. This lets you develop each character arc for each character in your film story, step by step and scene by scene, answering four key questions. It also allows you to track your characters throughout your project. This feature analyzes your entire screenplay and displays the isolated dialogue of either individual characters or the dialogue between two characters of your choice. You can even isolate voice-over. Using this feature will help you create consistent and unique voices for all of your characters. Can I Get A Free Trial Copy Of Movie Outline 3? Yes, you can Download Movie Outline for free to see how its powerful screenplay formatting, character development and story structuring tools can help you make a better script. There is no time limitation on the demo but there are some feature restrictions such as printing and exporting. Or you can Buy Movie Outline from our secure online store.